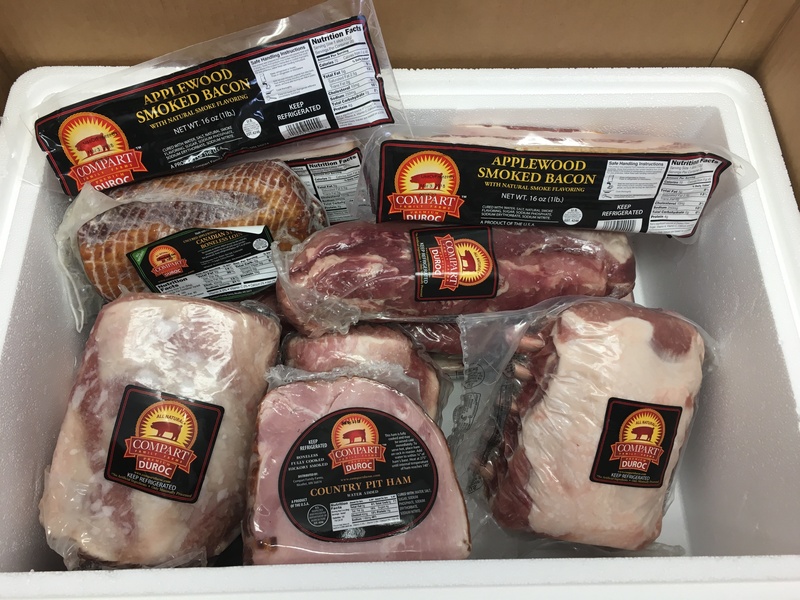 The Compart Duroc “All Natural” Stuff the Freezer box includes the perfect meats for any event! 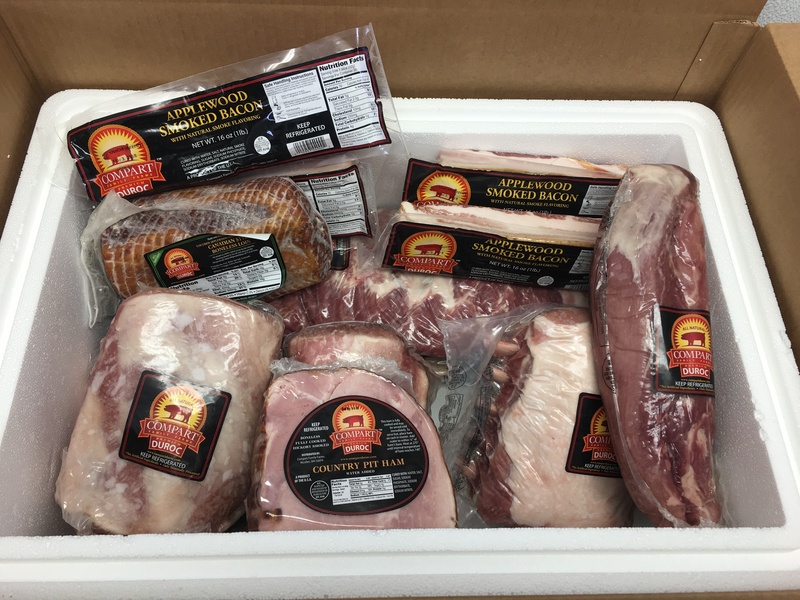 Premium Compart Duroc boneless country pit hams bring the taste of good old fashioned flavor to your dinner table. 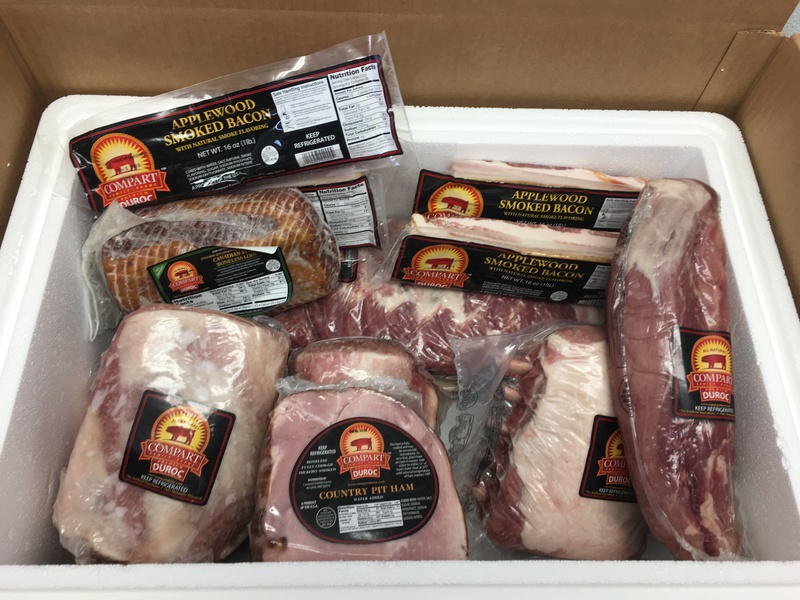 Paired with 4 pounds of Compart Duroc’s lean and thick Applewood smoked bacon, a 5 rib frenched pork rack, 3 fine boneless loins, 1 Applewood smoked loin, 2 racks of St. Louis style ribs, and 2 Tenderloins, your table will be dressed with delicious, mouthwatering pork you and your guests will be talking about for years to come. All Compart Duroc premium products are easy to cook, and their natural marbling and firmness make them rich and flavorful. They are simply, naturally delicious.